Disney | I Got Engaged at Walt Disney World! 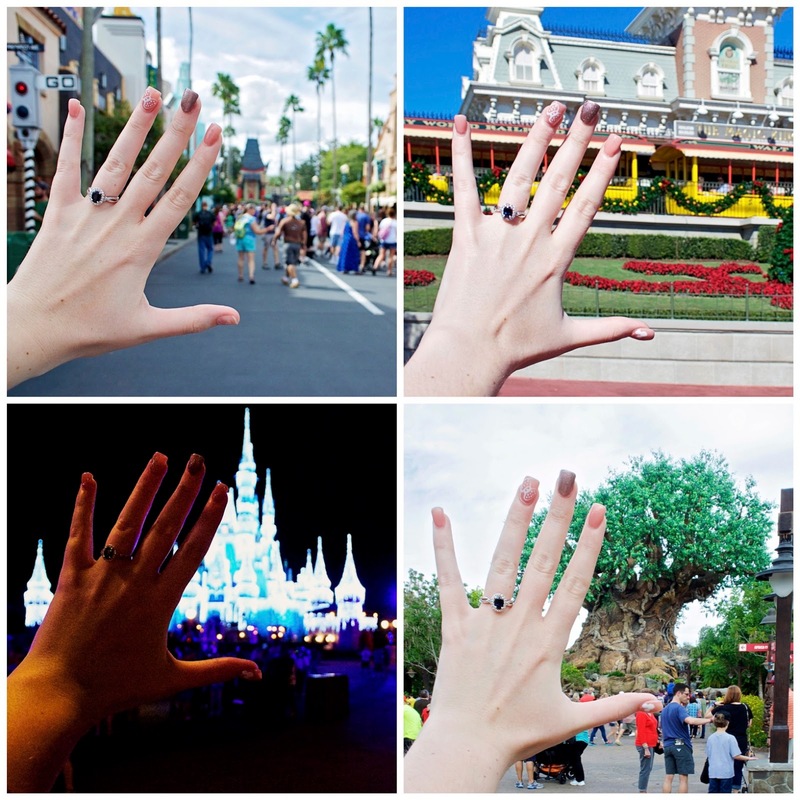 You may already know from my social media, this week's Walt Disney World trip vlog or even just a few hints that I've made on this blog but while we were away Harry and I got engaged! Some might argue that it was about time, we've been together for more than 8 years, but I think he was just waiting for the perfect moment. Disney means so much to us as a couple because we both grew up taking trips with our families and later got to enjoy it together. 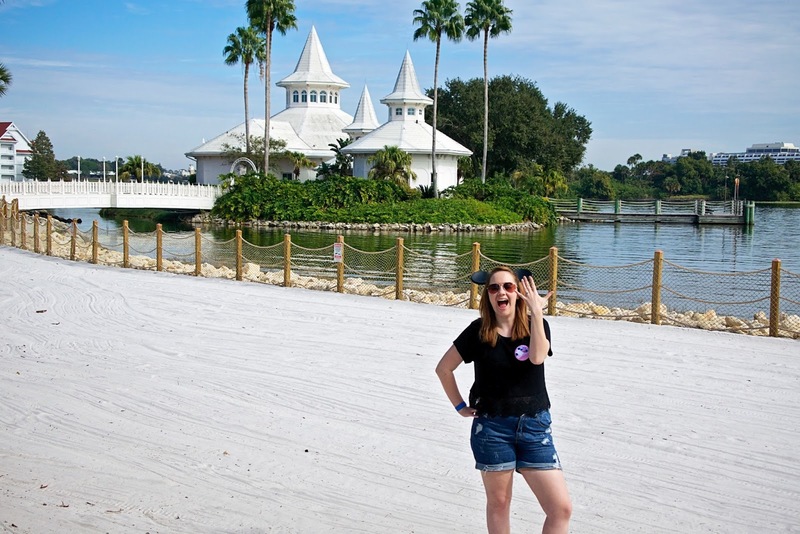 This trip was particularly special as it is the first time we have visited Walt Disney World alone as a couple and we spent so much time planning out everything we wanted to do from restaurants to fastpass and building up the excitement. It really just made sense that Harry would propose there and it made me giddy to think about it! So I assume what you really want to know is the when, where and hows? Well what I didn't know was that Harry had the ring on him the entire time! We're talking from before we left the UK in the airport right through to the proposal, which didn't happen until after a whole week in Florida! How he kept his cool for that long is beyond me. He later told me that he hadn't planned something specific because there was already so much that we wanted to do and he wanted to wait for the right moment. Having had an inkling that a proposal might be on the cards I'll admit then when a whole week of our trip went past and he hadn't got down on one knee I was starting to feel disappointed, like I'd got the signals all wrong. I think because I'd almost given up hope it actually made me so much more surprised when he actually did it because it was so unexpected! We'd had a busy day in Magic Kingdom, briefly popped back to the resort before heading over to Animal Kingdom to catch the last Festival of the Lion King show of the day and then we had dinner reservations at 'Ohana (which I loved by the way). After dinner we planned to take a stroll around the beautiful resort and maybe scout out a spot to watch Wishes. The best spot we found was a swing bench on the far side of the resort where we could see straight across to Cinderella Castle but the still had a while before the fireworks started (and there were a few other people scattered around) so Harry suggested we carry on walking. When we were standing on the beach between the Polynesian Village Resort and Disney's Wedding Pavilion when Harry wrote our names (just our names) in the sand. and thinking that he could very well have written 'Will you marry me?' I joked that I thought he was going to do something romantic instead. It was then that he reached into his pocket and got down on one knee with a ring in his hand! Needless to say I felt a little guilty but this was quickly replaced with excitement as he asked that monumental questions and I said 'Yes'! Later he told me he'd planned to say much more but his mind went completely blank from nerves in the moment. He told me how he knows that I love the being by the sea and this was the closest he could get while at Disney. As it was dark and we were caught up in the moment we didn't take any pictures, except for one of our names in the sand which we then added 'Engaged' and the date '6/11/16) too, so we made sure to take lots at the Boardwalk the following day and we also returned to the spot twice more during our trip so I made sure to pose with my ring and 'Just Engaged' button! Of course if you get engaged at Disney it is practically mandatory to take lots of ring photos (which I certainly did) and pick up your I'm Celebrating buttons! The morning after we got engaged we were able to get a Happily Ever After Badge and an I'm Celebrating one from Hollywood Studios which they kindly wrote 'Engaged' and the date on for us. Wearing any kind of special button as Disney is sure to get you noticed and the 'Congratulations' came pouring in from Cast Members and even fellow guests. Lots of them even asked how Harry had proposed (which was met with lots of approval) and to see my ring! At California Grill in the Contemporary Resort we were very lucky to be given the elusive 'Just Engaged' buttons which are no longer available and our desserts even came with a congratulatory message written on chocolate! 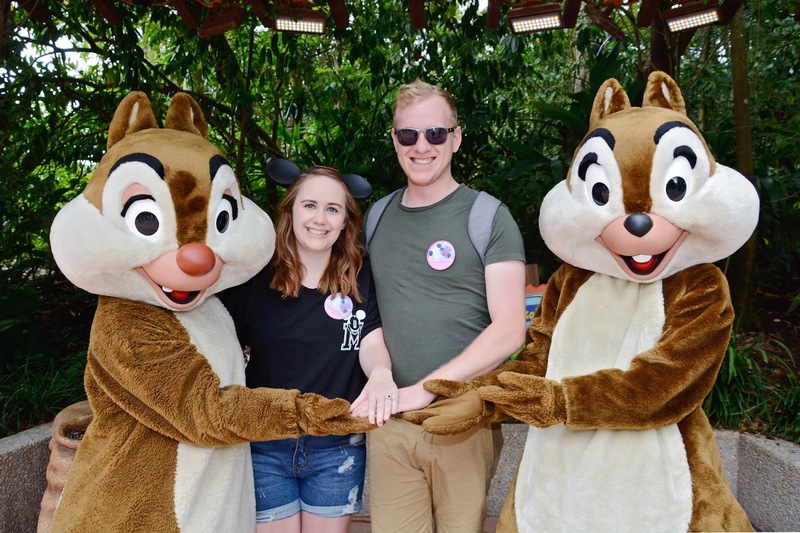 Chip and Dale also made a huge fuss of us when we met them at Animal Kingdom and acted stunned by my sparkly ring! Speaking of which the ring is gorgeous, I couldn't stop staring at it for weeks! The gem is a real sapphire surrounded by a halo of diamonds with more diamonds on the split shank band, I didn't want a traditional diamond engagement ring so Harry chose perfectly. We had the most amazing time on our trip and getting engaged made it even more special, now we can't wait to start planning our Disney wedding!